On a normal day I get up around 5.30-6am. The first thing is to take the dog, Coco, an Alsatian, out for a walk for at least two miles. I used to love running but now I’m down to the walking. I’ll have downloaded the Racing Post from the night before, which I’ll have read before I went to bed, but I still get the Racing Post in newspaper form every day. As soon as we get back from the walk, I get on the bike and go to the newsagents – he leaves it outside in a secret place, so I can get it before he opens at seven! I like to get it early, so I can know what’s going on. By 7.30am, I’ve had my breakfast and then it all depends what I’m doing. 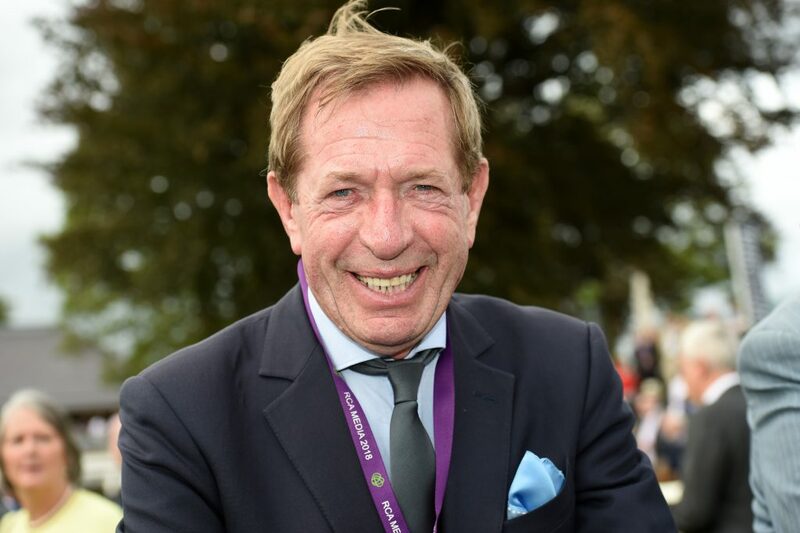 I do commentary work, I present for At The Races and Betfred TV, I do Thommo TV at tracks including Chelmsford and I travel around the world with my work for the Sheikh Mansoor Festival, a series of qualifying races for Abu Dhabi in November. If the day comes when I choose to slow down, I will not look forward to it. I love my racing. I’m honoured to be involved in it at what I consider a high level and for people to still want me – I still relish conveying my love of the sport to people and trying to get them more involved. When I have a day off, which is very rare, I occasionally have a round of golf with Bob Champion, and, after a few holes I’m ready to get back. It’s taking longer and longer on the roads these days, so you’ve got to set off early. If I’m commentating I always like to get there at least two and a half hours before the first race, because I study the colours and, if there’s a straight-course race with more than ten runners, I always colour them out in draw order. At the track I will never use the lift. It means I’m up and down the stairs but I’ve always used the racecourse as a form of exercise. When I was reporting for BBC Radio 5 Live at the Cheltenham Festival, I covered 28 miles, just in the enclosures. I couldn’t believe it! I remember John Inverdale said to me live on air, ‘I’ve got it on good authority that Rod Stewart is here; your job is to find him and interview him.’ There were 55,000 people there but I got him within 12 minutes. The reason? I always talk to all the security guards and the people working on the gates and I know a lot of them. I have great memories of my time with the talented Channel 4 Racing team. Less enjoyable was when, 35 years ago, I was asked to negotiate with Shergar’s kidnappers and four of us in a car got lost in Belfast, in the middle of The Troubles. That’s when four guys in balaclavas with machine guns jumped out into the road – literally jumped in front of us. One of them motioned with his gun to wind my window down – I had this gun six inches from my eyes. He said, ‘Are you Derek Thompson?’ I said yes. He said, ‘We’re the police.’ I’ve never been so relieved! Food is on the go because we’ve got to keep moving so I rarely have lunch. I’m an evening person and love dinner. It used to be steak but red meat is bad for me, having had cancer six years ago. White meat or fish, that’s what I like to get stuck into these days. I love a glass of Malbec or Pinot Grigio Rosé. Then it’s an early night. You’ve got to recharge, try to help the body. I go to bed early and get up early. I’m 100% fit. My surgeon said to me a few weeks back when I went for a check-up, ‘I don’t want to see you ever again, now get out of here!’ Which is the nicest thing anybody has ever said to me. But obviously I keep a close check. The message to get across is if people do see something unusual after they have been to the toilet to go straight to the doctor and get it sorted. If it’s the slightest thing, please do go and get it checked.